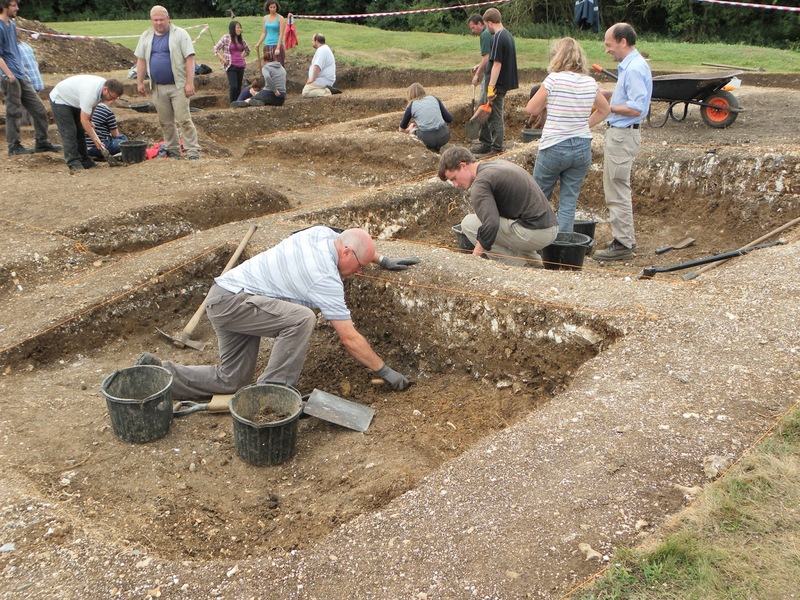 I wasn’t able to travel up to site today due to other work commitments, but Kris Strutt has written an excellent blog post about day three of the survey over at – http://kdstrutt.wordpress.com/ Thanks Kris! It looks like it was a fascinating day, I can’t wait to see tomorrow how the teams are getting on. The third day of archaeological survey at Basing House is over, and the survey teams are really getting in to the swing of things. The two minibuses arrived at 9.20am, driving from sunny Southampton into mist and freezing temperatures around Basingstoke, ready for another exciting day at the site.